By decision of the Court of Arbitration of the United Nations on July 12th, China cannot claim an exclusive economic zone in the area of ​​the Spratly archipelago. The Court also held that the Chinese law enforcement authorities pursuing Philippine vessels creates dangerous situations at sea. In turn, China does not recognize the decision of the international arbitration, established under the mediation of the Permanent Court of Arbitration at The Hague, but intends to resolve territorial disputes based on international law. This is stated in the State Council’s White Paper on the territorial dispute with the Philippines published on Wednesday. 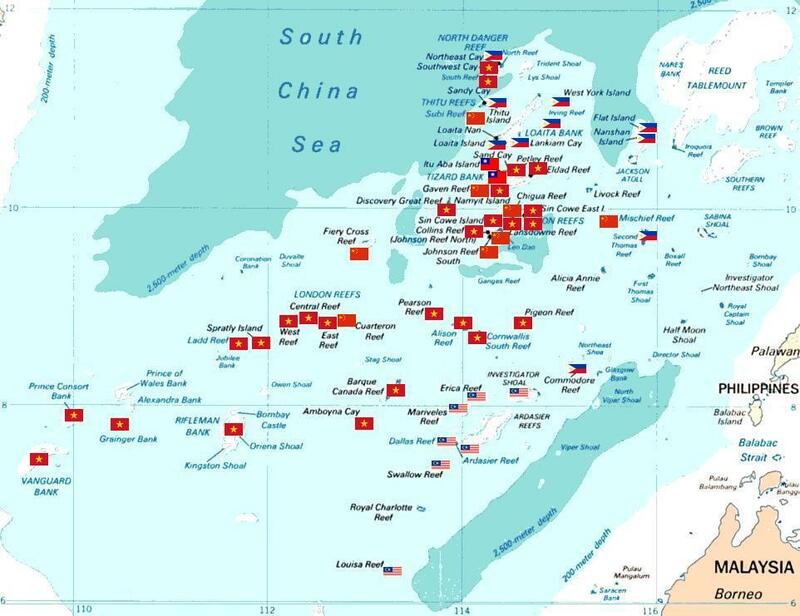 According to the Government of China, the main cause of the dispute between Beijing and Manila is the fact that the Philippines is an "illegally occupied part of China's Nansha Islands." In January 2013, the Philippines filed a complaint against China to the Permanent Court of Arbitration. The suit consisted of 15 items. In particular, the Philippines stated that the actions of China and its infringement on 90% of the South China Sea violates the 1982 UN Convention on the Law of the Sea. Vietnam, Taiwan, Brunei, Malaysia, and Japan are also involved in disputes with China. US supports China's opponents, using the contradictions between the states.